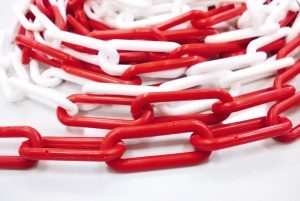 Enclosing and securing any area is child’s play with KELMAPLAST barrier chains. 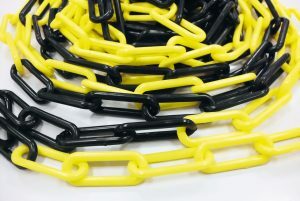 The coloured chain with its powerful warning effect can be set up in next to no time both outside and inside (buildings, halls, etc). And that’s not all, the chain’s minimal weight additionally makes for easy handling.